Who knew navigating a bathroom could be so frustrating and potentially unsafe. Well, I did, at least I thought so until I had my own experiences in 2017 and into 2018. Below, I outline the challenges and solutions I found, even if it was a little later than I needed. Keep in mind I was a fall risk due to balance, coordination and strength issues. I also struggled, significantly, to rise. Brushing Teeth - the safety here was my fear of tooth decay, in addition simply to wanting to feel better after brushing. However, I had a hard time holding and controlling my toothbrush. I needed a bigger handle and something to help me do a better job of the brushing process. I found this in Dr. Plotka's travel toothbrush to be my new best friend because its silver flossing bristles helped me keep my teeth clean and the bigger handle helped me actually be able to attempt to brush my own teeth. As my health improved and my hand strength and coordination improved, I switched over to the regular toothbrush and its chunky handle. Bathing - Even though I wanted to soak my aching muscles in a bath and feared falling while standing in a shower, I simply could not safely get to a standing position after a bath. The paralysis of my lower legs and feet combined with my lack of strength made me fear falling in the tub, as well. Although I tried holding onto everything, nothing helped. Perhaps a grab bar would have helped, but I simply switched to showering, especially since lifting my feet to get into a bath was also a challenge and I have a walk in shower. The first think I did was purchase an anti-slip bath/shower mat at Ross. Just like brushing my teeth, washing my hair was also a challenge. In addition, I had to hold onto the shower wall, especially when closing my eyes. I didn't realize there were suction cup safety bars until after my condition began to improved. Had I know, I would have gotten one. I also found Palmer's Co-Wash Cleansing Conditioner which allowed me to pump the product into my hand (I couldn't lift bottles) and wash it out of my thick hair without worrying about getting all of the suds out. A wet washcloth was too heavy and I was likely to drop it, creating the risk of a fall if I tried to bend down to pick it up. So, I used exfoliating bath gloves to wash, instead. Opening Tops - Any top... to moisturizer, toothpaste, supplements/medication was impossible for me to open without help from my family. I finally found a foam jar opener and left it in the bathroom so I could open the tops myself. Getting Up - Whether it is up and over the side of a bathtub or up from a toilet, I needed something to hold on and pull or push myself up. The only help I had came from my husband and the toilet paper holder - which surprisingly held up. But, there are grab bars and poles available to help those with long term needs; or for when you are alone. The reason why I share all of this personal information is because when I needed solutions to my functional limitations and challenges, I was laser focused on the task at hand and then getting to a safe place to rest from the fatigue of the effort. The solutions I did use, were things I had already seen or knew about. It wasn't until I began to improve and I had plenty of time sitting on my sofa with my feet up and my laptop that I really started looking for tools that could help those facing similar situations. One risk to healthy children and families, as I've seen in my own circle of friends, has been marijuana use at a young age. While some don't experience adverse symptoms, others seem to be more prone to troubles and the triggering of health and safety situations. In addition, hospital ERs do get some number of patients; including new consistently heavy smokers, with cannabinoid hyperemesis - vomiting due to heavy marijuana use. about Marijuana. 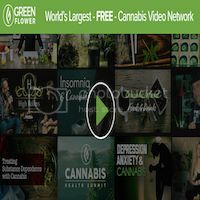 My belief is that it is an excellent resource for anyone considering marijuana use. Perhaps they won't experience any of the ugly, but at least they will be more informed and hopefully recognize adverse effects before dreams, goals and ambitions are crushed and/or their overall health is impacted. ...and, the question of can marijuana kill you is explored! The data, graphics and information provided in simple language make it easy for readers to understand identify the action needed. In the end, it is up to each person to make our best choices for health and wellness... and avoid our high life from becoming real life. A while back I wrote an article on why patient portals aren't being used. It was written while I was in a fatigued frenzy as a patient trying to find a diagnosis. Since then, I continue to experience the healthcare system and identify opportunities to improve communications with patients. My most recent recommendation to home health organizations is to actually get a portal so patients can confirm treatment dates. To practices who have a portal with forms to be completed prior to a procedure being scheduled, make sure they are the most current version and the save function actually works; to avoid wasted time and rework. Patient portals and the functionality they offer have the potential to increase access to service, improve convenience and more effectively engage patients and consumers. They can also increase efficiencies for both patients and their providers. It is for these reasons that most providers, payers and technology vendors have at least considered offering patients and consumers access to these online tools. Unfortunately, some of those who have adopted patient portals complain that they have made the investment, only to realize low adoption and utilization rates. So, why might patients not be using your patient portal? Many patients — especially those with low health or tech literacy rates — may have heard of your portal, but don't understand the benefits to them individually. Or perhaps, there are barriers to them acting to gain access; such as believing they aren't tech savvy enough or simply not having the motivation to change old habits. Aside from providing access to a platform, the provider/payor/vendor also needs to invest in strategies that facilitate user education, training and adoption. In some cases, this requires turning to family caregivers who need access themselves in support of the patient, or who can help them learn and navigate the most relevant areas to them personally. A recent Black Book Research poll found that 96 percent of patients report leaving their doctor's office with limited knowledge of how to use the patient portal. Of the 40 percent who attempted to use the software in 2016, 83 percent said it was too complicated. For benchmarking purposes, this means only 7 percent of patients found the portal simple enough to use. Is there statement that reassures patients of the portal's security measures and privacy safeguards? If there is a delay in when test results or reports are released to patients, is that clearly communicated? Can patients complete routine questionnaires online and make periodic updates to their information? Would an online appointment summary of key findings and/or follow-up add value for patients who don't remember everything the physician tells them during the encounter? Is it easy for patients to see summaries, reports and results and forward them to other providers on their care team? Are engaging tools and resources available to guide patients on self-management activities, such as suggested apps, medical device options/recommendations or multimedia educational content? Can patients message both administrative and clinical staff to avoid frustrating call trees and phone tag? Can users securely upload documents to attach to their messages or add to their medical record? your patient want to upload data, such as glucose levels, daily weights or information from wearable sensors for trending and alerts to both the provider and patient when some intervention is needed. Patients have become accustomed to this technology in other areas of their lives, such as retail, banking, travel and general communications. They expect it from their entire healthcare network, starting with their providers and payors of care. I found my way to a physician who specializes in neuromuscular disease, but have been focused on my treatment to give thought to exactly what the specialty does. I did, at least, recognize that neuromuscular relates to both the nervous and muscle systems. This is a little out of character given my long career working in hospital administration, including a few roles a medical staff coordinator. Several people on my Facebook groups see neurologists for their treatment and one person responded to a comment asking me what a neuromuscular specialist is/does exactly. Hummm, I didn't have an answer, so I turned to Dr. Google once again and found a great article on the role of neuromuscular medicine and physiatry in the management of neuromuscular disease. It is written primarily for healthcare professionals, but has good information and insight for patients and their caregivers. It is worth reading in its entirety if you or someone you care for has a neuromuscular disease.... but here are some highlights. Estimated total prevalence of the most common neuromusculars disease in the US is 500,000. Add in all forms of acquired neuromuscular disease and the prevalence exceeds 4 million. What are examples of the disease?